Degenerative disc disease is one of the most common causes of low back pain, typically affecting active, healthy people in their 30s and 40s. However, since spinal disc degeneration is a natural part of the aging process, this condition also tends to affect the elderly. 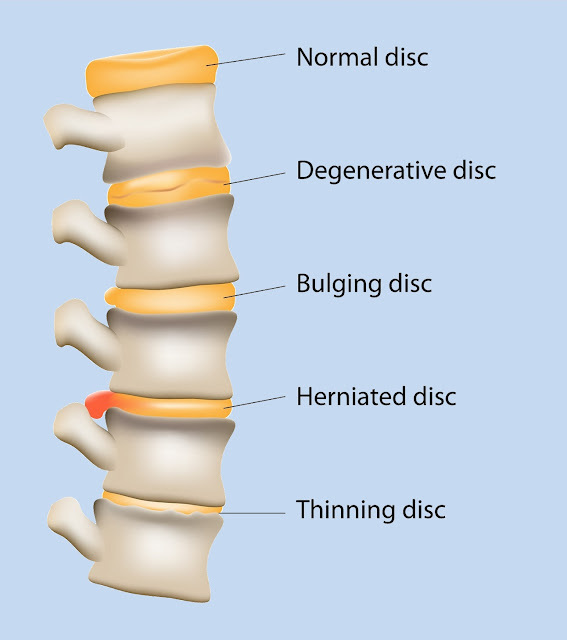 Degenerative disc disease is, in fact, not really a disease. It is actually a chronic, gradual deterioration of the soft, spongy discs that separate and cushion spinal vertebrae. Over time, intervertebral discs break down, naturally losing their flexibility, elasticity and shock absorbing qualities. Ligaments surrounding discs (annulus fibrosis) become brittle and more likely to tear, causing bulges or ruptures. Also, the gel-like center of discs (nucleus pulposus) begins to dry out and shrink, making them thinner and narrowing the distance between vertebrae. As a result, painful conditions such as spinal stenosis and herniated, bulging and protruding discs may develop by exerting pressure on the spinal cord or nerves. These changes may also occur as a result of smoking cigarettes, performing heavy physical work or participating in repetitious activities involving bending, lifting or twisting. Obese people are also more likely to display symptoms of degenerative disc disease. Many people with degenerative disc disease never experience pain, while others with the same amount of disc damage can feel minor discomfort or even severe pain that limits their activities. Low back pain may start after a major injury such as from a car accident. Pain may also be triggered by minor injuries, such as falling from a low height or normal, everyday motions including bending and twisting. Sometimes, pain may also begin gradually for unknown reasons and grow worse over time. Lumbar DDD typically causes long-lasting, dull pain in the lower back combined with occasional severe flare ups lasting for relatively short periods of time. Eventually, pain levels either return to lower levels or may go away entirely. Sitting is often problematic for people with DDD because this position forces lumbosacral discs to support heavier loads than when a person is in a standing position. When a migraine headache strikes, sometimes lying down in a dark room with a cool cloth across the forehead offers some relief. But usually more help is needed in order to bring migraine headache relief. For some migraine sufferers, over-the-counter medications offer relief in fighting the migraine pain. These medications usually contain ingredients like ibuprofen, ASPIRIN®, acetaminophen, naproxen, and caffeine. A migraine sufferer should be careful about using these medications too frequently because overuse can cause rebound headaches or a dependency problem. The Cleveland Clinic website recommends that anyone needing to use over-the-counter pain medicines more than three times a week should see a health care provider to talk about other options for treating the migraine attacks. triptans such as Axert, Frova, Maxalt, Imitrex, or Zomig. These are the prescription medicines used most frequently for the treatment of migraine headaches. ergots such as dihydroergotamine or ergotamine with caffeine (Cafergot). Some of these medicines work by narrowing the blood vessels, so they should not be taken by someone at risk for heart attacks. It is important to work with a health care provider in using these medicines. For migraine sufferers who experience nausea during an attack, there is help in the form of nausea medicines such as prochlorperazine. Also, if nausea keeps migraine sufferers from taking other pain medications by mouth, some of the medications are available as a nasal spray, suppository, or injection. For the person seeking help for migraines, biofeedback training is another possible treatment of migraine headaches. The headache sufferer can be trained to be aware of the stressful situations that might possibly cause a migraine. In some situations, they can use biofeedback (controlling heart rate, blood pressure, muscle tension, skin temperature, etc.) to prevent the attack before it becomes a major problem. 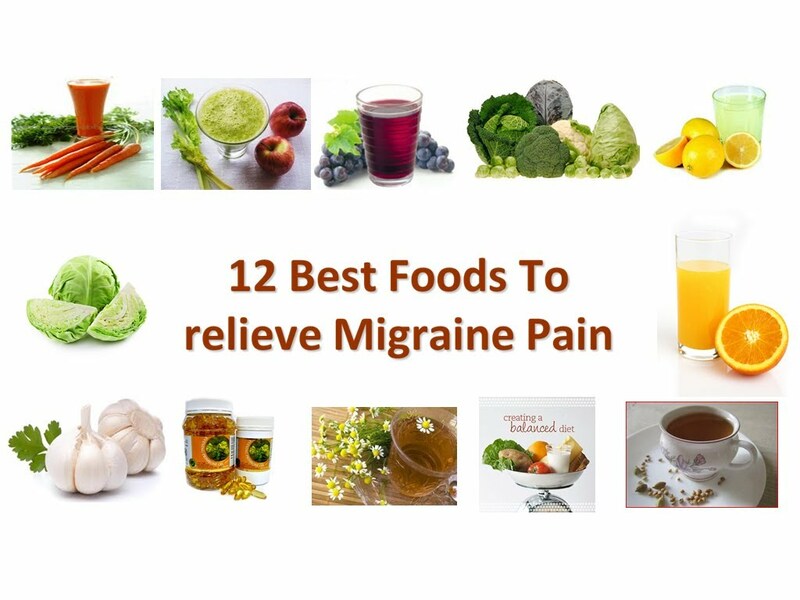 Working with a health care provider, a migraine sufferer might be able to use one or more of these migraine headache remedies to fight the crippling pain and nausea that often accompanies a migraine attack. Every individual will experience constipation during some point in their lives, but those who are pregnant and the elderly may experience this condition with increased frequency. The National Institute of Health (NIH) in conjunction with the National Digestive Diseases Information Clearinghouse (NDDIC) have determined over 4 million adults experience constipation frequently, and use over-the-counter (OTC) remedies as treatment in a majority of cases. Most individuals perceive this condition as a medical problem when it is only a temporary condition, but it can be a symptom of the body not functioning properly and can potentially be the result of a medical condition. Also, this symptom has two forms, acute and chronic. Acute conditions last for a period of less than three months, and can be resolved thorough lifestyle changes and temporary use of over-the-counter products. Chronic conditions last for three months or longer and are the result of multiple causes and a potential medical condition. Fiber intake – a diet low in fiber, high in fats or a combination of these two factors can cause this symptom to appear. Increasing fiber intake by eating fruits, vegetables and grains while decreasing fatty foods such as eggs, cheese and milk can relive the effects of constipation naturally. Dehydration – Hard stools can result because of the lack of fluids in the body, making them difficult to pass through the intestines. Beverages such as soda, alcohol and coffee can increase the effects of constipation, individuals should choose water and juice to increase fluids and hydrate the body. Medications – Schedule an appointment with a physician if a medication is suspected to be causing constipation. Some medications can directly result in constipation or worsen an existing condition. Lack of Activity – Increasing physical activity by walking or participating in mild to moderate exercise can provide constipation relief. It is believed activity can stimulate the action of the intestine, and can be used as a natural remedy. A majority of cases of constipation will not require an official diagnosis by a doctor, and over-the-counter medications plus natural remedies can provide constipation relief. Consult a physician if needed, who will diagnose this condition through the use of medical history and physical examination. However, most cases of constipation can be relieved naturally through changing patterns of diet and exercise. X-ray pictures were the earliest medical imaging technique. The first X-ray film of the human body was taken in 1895 by the discoverer of X-rays Wilhelm Röntgen, showing his wife’s left hand with her wedding ring. 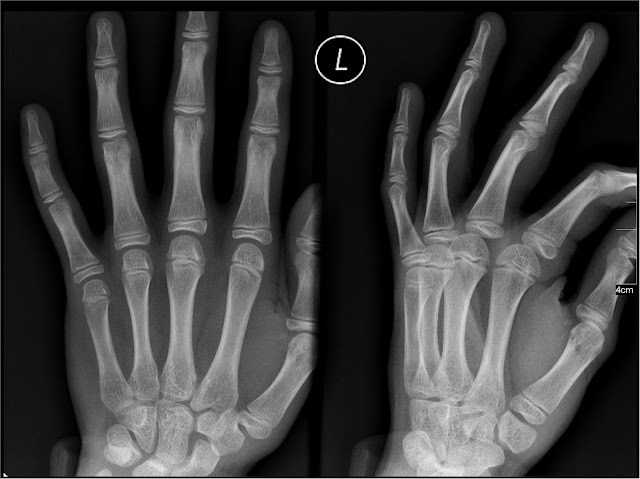 Despite the development of newer technologies such computed tomography (CT), magnetic resonance imaging and ultrasonography, X-rays remain important for the diagnosis of many disorders. X-rays are a type of electromagnetic radiation, similar to visible light but with a wavelength shorter than can be seen with the human eye. In nature, X-rays are generated by violent events such as an exploding star. Medical X-rays, in contrast, are produced by passing a very large electrical voltage across a device called a vacuum or X-ray tube. When the current strikes a metal target inside the vacuum tube, X-rays are emitted, travelling with such high energy that they are able to pass through opaque objects placed in their path, in the same way that light passes through transparent substances such as glass. When the object is a human body, pictures produced by the X-rays can be used to visualize and diagnose a wide range of conditions. The appearance of different body tissues on an X-ray picture depends on how much each tissue blocks the passage of the radiation. Bone, which blocks the most radiation, appears white, while air, which blocks the least, appears black. Tissues other than bone are represented by various shades of grey. Traditionally, medical X-ray images have been exposed onto photographic film. X-ray films require processing before they can be viewed, however, and take up large amounts of storage space in hospitals and doctors’ offices. Over recent years, digital X-rays have become increasingly popular for radiological imaging. To obtain a digital X-ray picture, an electronic detector is used in place of a photographic film. This detector sends the signal produced by the X-rays to a computer, which converts the signal to a digital image that can be viewed on screen immediately and saved as required. X-rays are especially useful for imaging the bones, but soft tissues such as the lungs and digestive system can also be viewed and X-ray images are important in the diagnosis of illnesses such as lung cancer and kidney stones. fluoroscopy, which produces moving images used to examine the action of the gut or to guide a procedure such as implantation of a cardiac pacemaker. As a type of radiation, any exposure to X-rays carries a risk of cancer. However, the amount of radiation produced by a single X-ray picture is extremely low compared with the background radiation that a person experiences every day from natural sources such as cosmic rays and radioactive minerals in the earth. Health professionals consider the benefits of an accurate diagnosis and treatment to far outweigh the small risk involved in X-ray imaging. The risks of X-rays are greater for young children and unborn babies, but the doctor will always bear this in mind when deciding on the need for medical imaging. X-rays are used to treat disease in the form of radiotherapy, while CT scanners employ multiple X-ray beams to produce detailed pictures of soft tissues as well as bones. However, a CT scan exposes the patient to more radiation than a conventional X-ray film or digital X-ray. Most people suffering from lumbar degenerative disc disease can be successfully treated through a course of conservative, non-surgical care. Localized applications of heat helps to increase blood flow, which aids in the healing process. Many patients use heat on stiff muscles and joints to increase flexibility and range of motion. Applications of ice are used to decrease localized swelling, inflammation and pain associated with many different types of injuries. A variety of medications may be prescribed to manage pain associated with degenerative disc disease. Mild pain can be relieved through the use of drugs such as acetaminophen (Tylenol). Non-steroidal anti-inflammatory medications such as ibuprofen, naproxen and COX-2 inhibitors are used not only to manage pain, but to reduce swelling in the body as well. Intense episodes of pain are typically managed with oral steroids, muscle relaxants or narcotics. Patients must be careful when using these medications due to their sedative effects, and in the case of narcotics, the potential for addiction. Each situation is unique and some medications are not appropriate for all patients. Therefore, patients should always discuss medications, side effects and other factors with a physician prior to accepting any prescription. 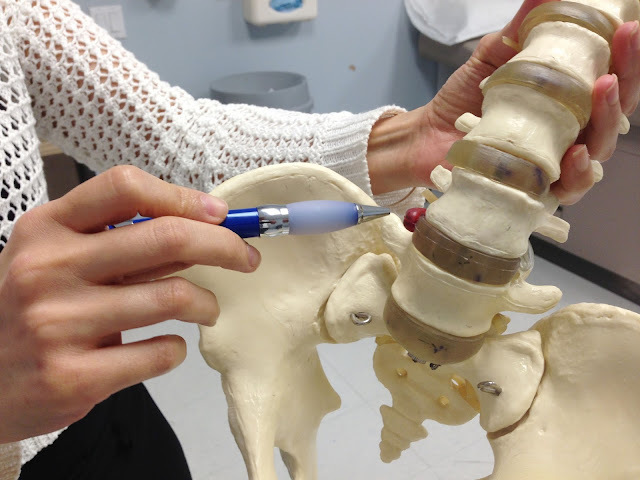 Epidural steroid injections (ESI) are a common treatment option for low back and leg pain. The primary goal of ESIs is to relieve pain by delivering medication directly to the source. A secondary goal is to decrease inflammation around the damaged disc, providing healthy discs with an opportunity to repair themselves. ESIs are given by using fluoroscopy to place a needle close to irritated nerve roots or directly into the foraminal space and bathing the area in a steroidal solution. During the first month of therapy, acute and chronic low back pain and degenerative disc disease not associated with nerve compression may respond to chiropractic manipulation. Chiropractic care has the ability to relieve low back pain by taking pressure off sensitive nerves and tissue, reducing muscle tension, increasing range of motion and restoring blood flow to affected areas. These manipulations also may promote the release of natural endorphins within the body to act as natural painkillers. Low-impact aerobic workouts such as walking, swimming and biking relieve pressure on the discs and provide better flow of blood and nutrients to spinal structures. Aerobics also improve muscular endurance, coordination and strength. Hamstring stretches to reduce tightness, which increases stress on the back and pain caused by a damaged disc. Other stretches to improve flexibility of the back and abdominal muscles. Flexion exercises may also help widen the foramen, which are small canals where nerve roots exit the spinal cord. Strengthening exercises to increase support of the lower back and help patients find and maintain comfortable spine positions. Patients should discuss exercise options with their doctor before starting any program. It is extremely important to stop participating in any exercise that increases pain levels until consulting with a physician. Massage – Helpful for increasing blood flow and reducing muscle spasms. Acupuncture – Helps control pain, but for best results, should be combined with an approved exercise program. Pilates and yoga – Alternative forms of low-impact exercise that help increase both strength and flexibility. Surgery is usually considered only for patients whose pain has not been relieved after six or more months of conservative therapy or those who have trouble performing everyday activities. Decreased night vision is a common concern for adults over 50. Although some middle-aged adults may realize that their night vision is not as clear as it once was, others may try to deny there is a problem. Decreased night vision among older adults is especially concerning because it may affect their ability to drive after dark. Difficulty seeing in dim light is known as night blindness. Night blindness isn’t actually a disorder – it’s a symptom of other underlying problems. One common cause of night blindness is untreated nearsightedness or myopia. Night blindness can also have a variety of other causes, including vitamin A or zinc deficiency and exposure to the sun. Night vision problems can be caused by chronic diseases, such as diabetes. 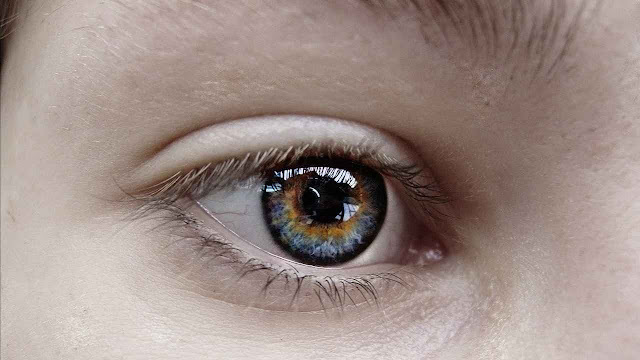 People with diabetes often experience nerve damage, which can affect the retina and lead to night blindness. Problems specific to the eye can also cause night vision problems. For example, the first sign of cataracts is often declining night vision. Glaucoma is increased pressure in the eye and may also cause this problem. Complications of LASIK surgery can cause problems with night vision. Those who suffer with night vision problems should make an appointment to see an ophthalmologist. The doctor will dilate the patient’s eyes and examine them using a bright light to examine the inner parts of the eye. Other tests may also be performed. Any serious cause of night blindness can be detected through this type of exam. Treatment for night vision problems depends upon the cause. Cataracts can be treated with surgery, and vitamin A and zinc deficiencies can easily be corrected with diet or supplements. If night blindness is caused by diabetes, tight blood sugar control may lead to improvement. For patients who have night vision problems caused by untreated myopia, corrective lenses may correct the problem. Night vision problems are especially common among older adults for a variety of reasons. For many older adults, vision changes happen so gradually that they go unnoticed. According to All About Vision, pupils of older people don’t allow as much light to enter the eye. The cornea and lens can become less clear. Older adults have a reduced ability to discern small differences in brightness, which can make it more difficult to see objects in dark or dim light. More serious eye problems that are related to the aging process can cause decreased night vision. Examples include diabetic retinopathy, age-related macular degeneration, glaucoma and cataracts. It is very common, especially in children, to suffer from an occasional bloody nose. Nosebleeds are usually easy to treat and are not a cause for concern. However, frequent recurring nosebleeds may indicate a serious condition that requires medical attention. Dry air: The mucosal lining of the nose is very thin, and when the air is dry, such as in the winter when indoor rooms are heated or in the summer in dry climates, the nasal mucosa can become dry and cracked. Trauma: Trauma to the nose from the outside as by a blow, or from the inside by picking the nose or vigorous nose-blowing can break small vessels. Decongestants: Decongestants, corticosteroids, and other allergy or cold medications can dry out nasal passages. Allergies and infections: Allergies and acute or chronic sinus infections can cause inflammation of the nasal passages, which can lead to irritation. Frequently blowing the nose due to congestion can further irritate membranes. Blood-thinning drugs: Certain types of blood-thinning drugs such as aspirin, heparin and warfarin (Coumarin) inhibit blood coagulation and may produce or worsen nosebleeds. Frequent nosebleeds may be a sign of a serious medical condition. Leukemia, tumors or polyps in the nose or sinus cavity, high blood pressure, and bleeding disorders including hemophilia, von Willebrand disease, and Osler-Weber-Rendu syndrome are some conditions that can produce recurring nosebleeds. If nosebleeds occur more than once a week, or if the bleeding is heavy and continues for more than a few minutes, see a medical professional. Nosebleeds can be divided into two general types: anterior (front) and posterior (back). The vast majority (over 90%) of nosebleeds are anterior, with the blood coming from the nasal septum, the wall dividing the two nasal passages. Anterior nosebleeds are usually easy to stop with simple first aid. 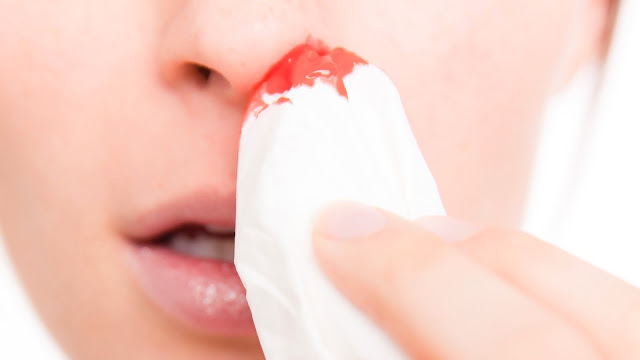 Posterior nosebleeds, which occur more often in older adults between the ages of 50 and 80, can be a more serious condition because the bleeding is from an artery at the back of the nose, and they are more likely to require medical attention. To help prevent nosebleeds from occurring, keep air inside the house from becoming too dry by using a humidifier or placing a pot of water on low heat on the stove top, radiator or wood stove and allowing it to evaporate. Gently apply a small amount of ointment such as petroleum jelly or a water-based moisturizer to the inside of the nose with a cotton swab to keep nasal passages from drying out. Saline nasal sprays can also be used to moisten the mucous membranes. Sit up straight or lean forward slightly to prevent the blood from running back into the throat. If swallowed, blood can cause nausea and vomiting. Gently pinch the nose between the thumb and forefinger and hold it for at least ten minutes, or until the bleeding stops. Spit out any blood that has entered the mouth. Try not to irritate the nose for at least 24 hours. For those who suffer from occasional nosebleeds due to nasal dryness, taking steps to humidify the air and moisturize the inside of the nose should help to alleviate the problem. If recurring nosebleeds persist with no apparent cause, see a medical professional. When the H1N1 pandemic struck, health authorities encouraged the use of hand sanitizers and disinfectant spray in an attempt to stem the outbreak. But while there is nothing wrong with the use of sanitizing products per se, too many people might have taken the way advice too far. Triclosan and triclocarban are two chemicals commonly used in many household cleaning products and in disinfectants – otherwise known as antimicrobials. In sufficient amounts, these two chemicals are known to cause among other things skin irritation, allergy susceptibility, bacterial and endocrine disruption. These chemicals do not break down easily once it is washed down the drain. Traces of triclosan have been found in many of the waterways in the United States and even downstream from water treatment plants. This resilience to treatment is cause for great concern because once exposed to sunlight and water, triclosan could change into a toxin called dioxin. High concentrations of dioxin can cause skin lesions and even alter liver functions. Long term effects of dioxin exposure could cause problems with the immune, nervous, endocrine and reproductive systems in the body. It is no accident that the majority of disinfectants have a warning label disclaiming the toxicity not mentioned in the commercials. Hand sanitizers that use an ethanol or alcohol base, are an effective means of reducing bacteria count on hands. However, only those with ethanol or alcohol concentrations of at least 62% are of any significant use. The effectiveness of sanitizers with anything less are comparable to washing with just plain water. Alcohol and ethanol chemically denature proteins. Denaturing occurs when a protein is subject to outside chemical or temperature stresses. Frying an egg on a pan is an example of heat-based denaturing. Exactly like how lime juice "cooks" a piece of salmon, alcohol and ethanol literally cooks bacteria off by denaturing the protein found in all bacteria. Great care must be taken when choosing hand sanitizers. While most commercial hand sanitizers incorporate moisturizers, some do not. Originally used by medical personnel to sterilize their hands between patients, hand sanitizers without a moisturizing component can cause excessive dryness and, in extreme cases, dermititis, or commonly known as rashes. All sanitizers are classified as a pesticide. If the wrong product is used, or is mixed too strong, it could be toxic to children. Young children absorb chemicals into their bodies easier than older children and adults. Because of their small body size, a small amount of any chemical has a much greater affect on them than adults. Understandably, home makers want to ensure that their households are clean and free from bacteria. But it seems that the cure could be more dangerous than the problem. Furthermore, in the effort to achieve new heights of clinical sterility, children are developing weaker and weaker immune systems. Because their bodies are not given the chance to come into contact with as many types of bacteria, their immune systems become under-developed and weak. Weak immune systems translate into more illnesses later in life when they leave their sterile environment. But no one is suggesting a spit and polish approach to house cleaning either. Not that it is inherently bad to use sanitizing products but moderation is key here. Soap and warm water is still an effective means of removing a vast majority of bacteria harmful to health. There is no need to perforate every inch of the house with disinfectant to stay healthy. And while hand sanitizers are a convenient means of cleaning hands in the absence of soap and water, they are not a substitute. Hand sanitizers were originally intended to eliminate the chance of cross-contamination in hospitals where the patients either have weak or no immune defences. Instead of using obsessively using hand sanitizers, simply practice the recommended steps of safe hygiene like sneezing into elbows (instead of the hand) or staying home when sick.